EVEN through the forest of his snowy moustache, Roger Preston's beaming smile could be seen for miles as he wandered over to meet his faithful Mack, The Spirit of Adventure, for the first time in more than 35 years. 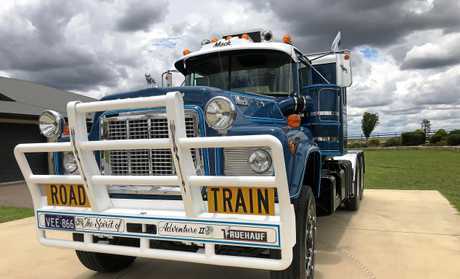 The trucking transport hall of fame veteran was reunited with the piece of trucking history after Toowoomba truck enthusiast Glen Beutel restored the truck and tracked down the original owner in a show of more than sentimentality. 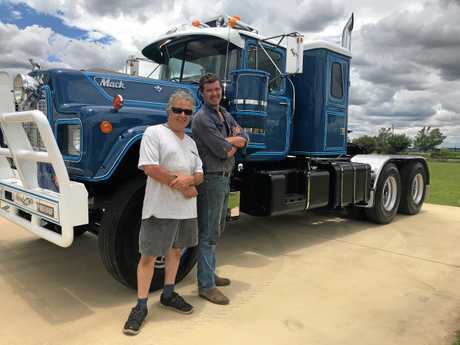 The truck for the Preston family was a symbol of a business, hard work and The Spirit Of Adventure was shared between a father and son. Unlike many drivers, Roger didn't begin in a trucking: Instead he started as a copper. 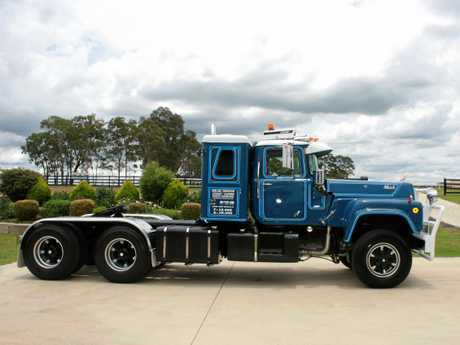 "When I started in the police force, my special interest was trucks," he said. "I used to look at the machinery and think, gee wizz how do they afford to get into those things. "We had some good friends but eventually I thought, hang on a minute, I do all this driving for the police department and I am on terrible money. I could drive one of those things." he said. 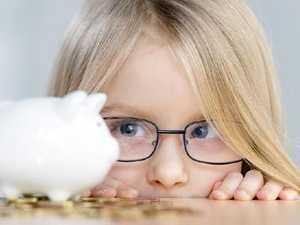 This thought sparked a lifelong passion for the industry. "Turns out, I knew nothing about trucking and I had to learn quickly," he laughed. 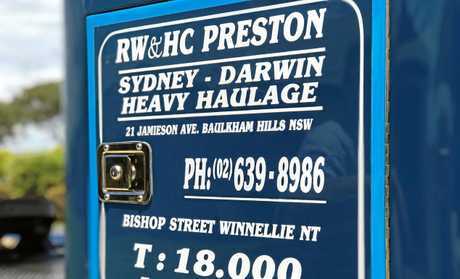 When Cyclone Tracy hit Darwin, Roger's work began on one of the toughest runs, as he delivered supplies to help rebuild the city. "This one used to come with me as a little fella," Roger said, pointing to Rod Jr, now a man taller than six foot. "He was only about 14." Rod Jr sighed nostalgically and leaned into the conversation. "In school holidays, my dad used to time his trips so I could go with him because most of the year he was away," Rod Jr said. "I still remember being a kid hearing the truck grind up the driveway when you knew he was home," he said. "But it all worked out," he laughed. "I was the kid at school that had adventures in Darwin and the outback. 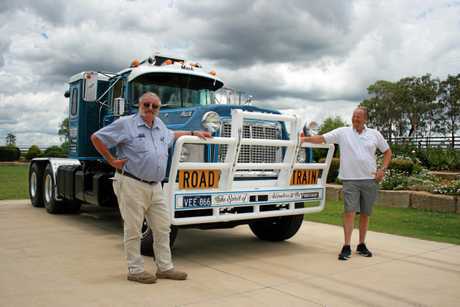 "It really was the last frontier in those days and I learnt to drive that truck out there," he said recalling the time he drove past a police officer as an adolescent. "Dad just said you'll be right and just went back to sleep." The next trip Roger was bailed up by that same policeman in Wyandra. "He asked me if I had trouble seeing over the dash," Roger added. "I said geez you've got good eyes, you wouldn't read about it, the valve s**t itself," he laughed. 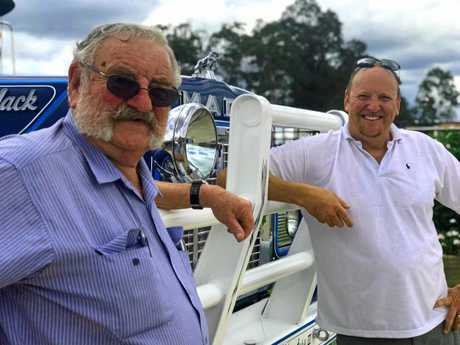 "It was a real fluke how it happened," Roger said as he nodded toward the R700's current owner and Toowoomba Local Glen Beutel. "The conversation started at my place. One Friday afternoon someone pulled out an old Bulldog Bulletin and asked where my old truck was. "We thought let's see and word spread. 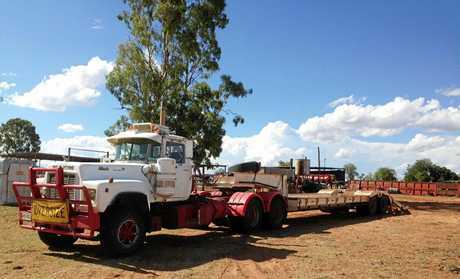 "We found out a bloke in Toowoomba had bought it and I thought bugger it. 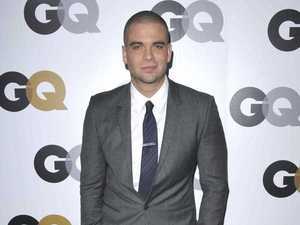 "But that was just the beginning of a friendship and a huge project between restorer Glen and the Prestons. 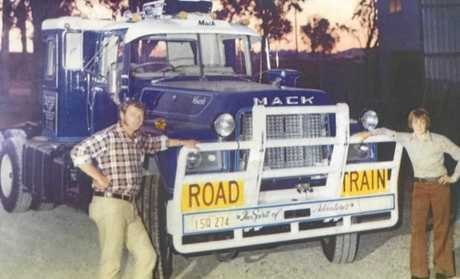 Glen a Mack fanatic, described as the "Picasso of restoring trucks" by Roger had found the R700 in Alpha. Eager for a challenge, he purchased it straight away. 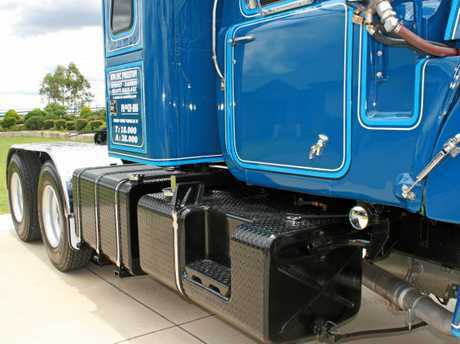 "At that time it was completely different, it had a 3406B Cat motor in it," Glen said. "I have been doing up Macks for a while and this was an interesting project: Once the dog bites you, it bites you hard," he laughed. It wasn't long before the Prestons located him and shared the original build sheets to assist with the parts hunt. "Rod Jr actually ended up locating the right engine," Glen said. 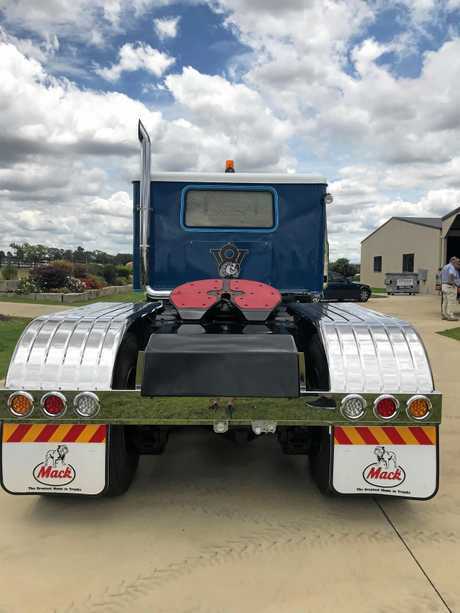 "To cut the long story short, we found a 375 V8 Mack motor for sale in NSW that had been rebuilt, so we gave her a transplant." The R700 also received a new radiator core, a rebuilt power steering box and air starter. A man of detail, Glen was sure to also include the brass pipes. "The motor runs sweet and I am extremely happy with it," he said, admiring his handiwork. 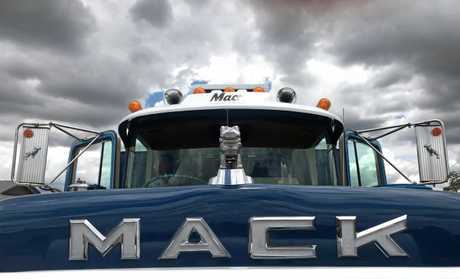 "I have to say after all these years of doing up Mack trucks, this would have to be the best motor I ever came across." Roger didn't disagree. 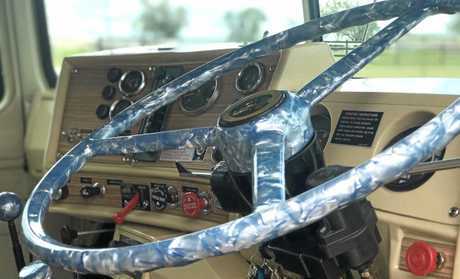 As he was given the honour of starting up the old girl, he couldn't help but begin to giggle with glee, as the memories flooded back and engine roared. "I've had a lot of nice things happen to me in my life, but this is one of the best."